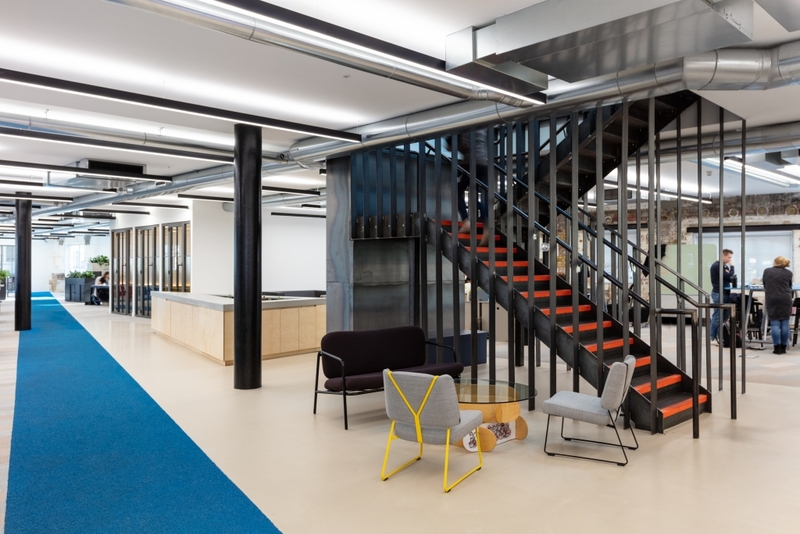 The global giant recently tasked Dthree with designing and building the space of its new London headquarters. The brief was to create a space that’s a true reflection of the now-iconic Red Bull brand. 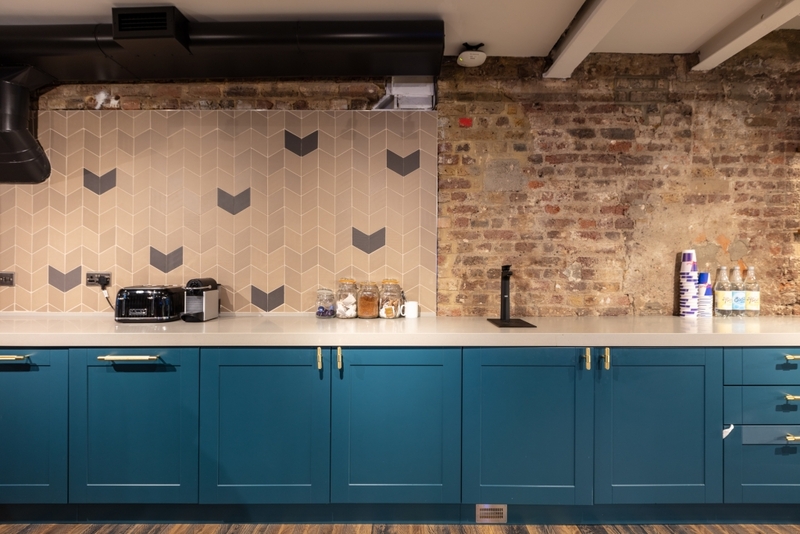 Charlie Kent, Senior Designer at Dthree, talks us through the project, and how a collaborative approach produced a future-proofed workplace that is bang-on brand. 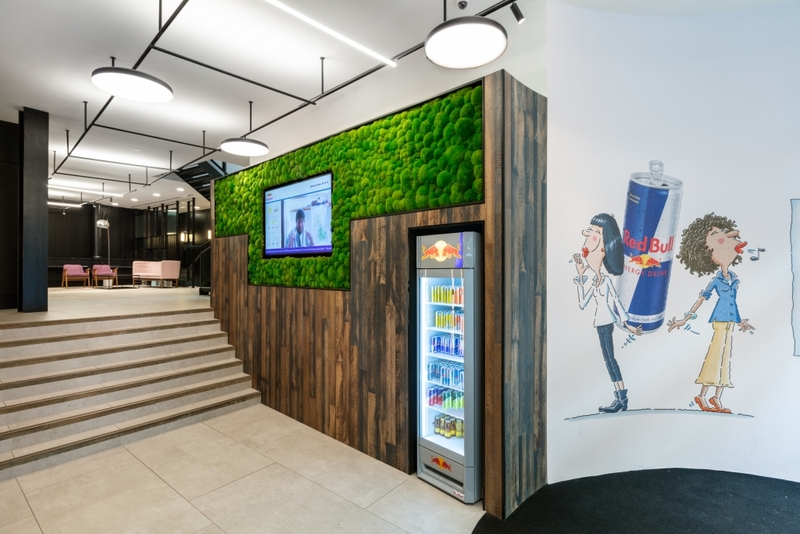 “Moving across town from Tooley Street to Seven Dials, Red Bull required a refreshed approach to its office interior. The space had to reflect the brand. But the brand is so much more than just the Red Bull product. The ethos of the business as a whole, which includes investing and supporting truly ambitious and remarkable people to achieve, bringing people together and supporting charities, needed to come through. A subtle approach was therefore required. The Red Bull senior team didn’t necessarily want the whole place to be branded; it wasn’t about shouting about the fact that Red Bull’s landed. They wanted the space to land in the area, and for the people who worked there to talk about it and that kind of word of mouth being there. The challenge led to some clever and creative design features that really imprint the Red Bull brand on the subconscious. 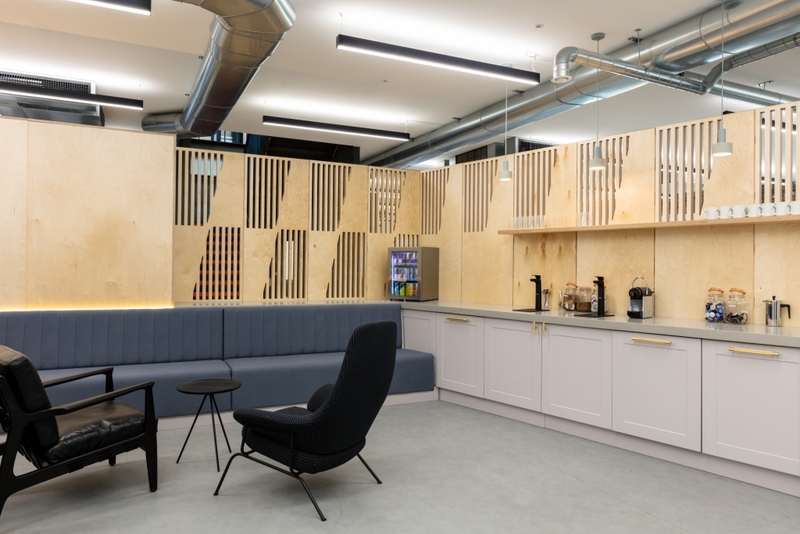 Another subtle nod to the brand is by way of a specially-designed bleacher that wraps around the corner space of the room – the side edge of which is at the exact same 12.7-degree angle as the Red Bull rhombus. It was key points like that everybody at Red Bull really latched onto and loved. “There are lots of different pieces we did with regard to spatial analysis of the existing office to help people engage with one another. We went extraordinary level of detail to ensure the layout could work for multiple teams with differing needs. Noise levels, focus times, team and individual arrival times, the transience of each team and whether it bothers an adjacent team – all aspects were considered. 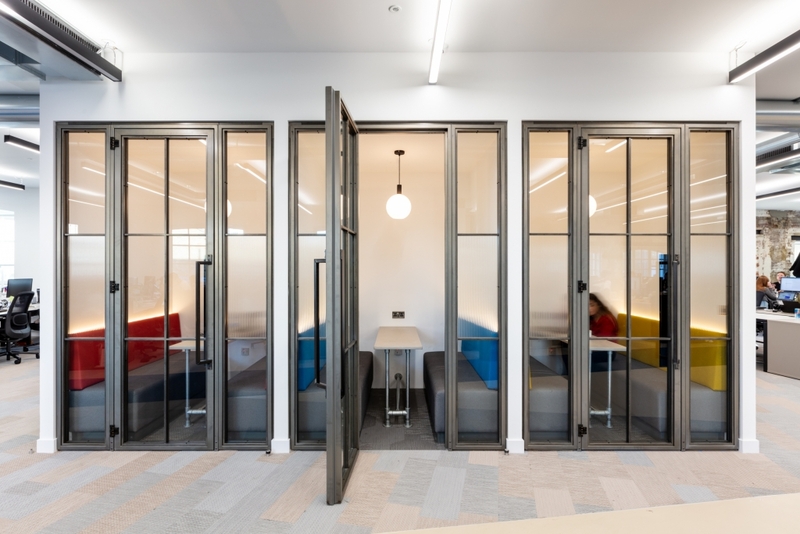 Providing an array of different space configurations to suit varying working needs was also key to design requirements. 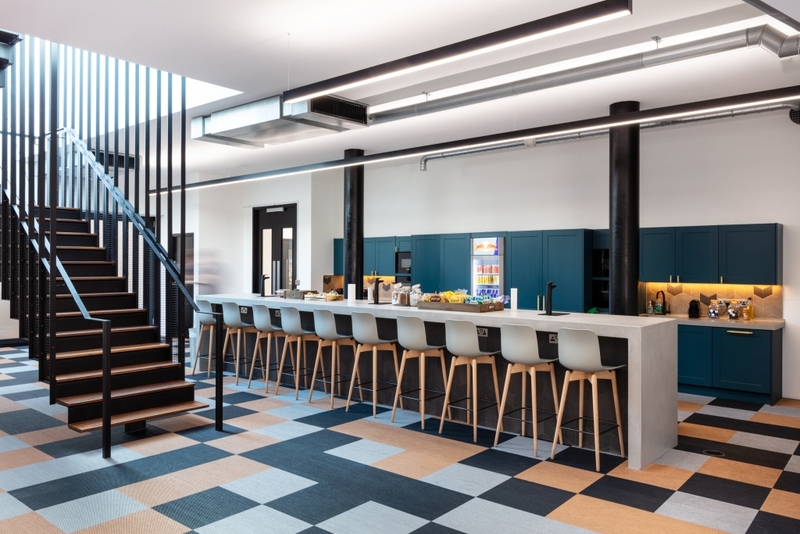 A key feature of the Seven Dials office, and a differentiator from its Tooley Street predecessor, is that it offers a truly connected space. Both horizontally and vertically, the building interior offers fluid movement, accessibility and a feeling of cultural connectedness. 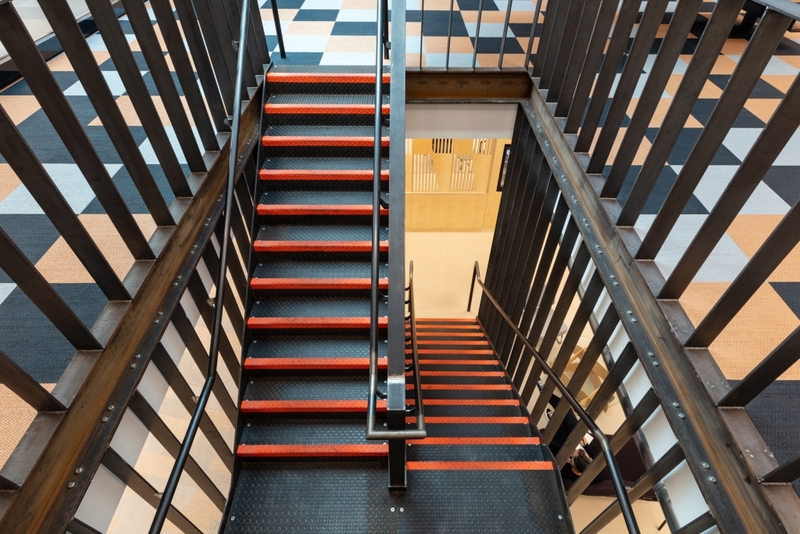 To help enable this, a newly-installed staircase at the ‘buzzy’ side of the building gave the fourth and fifth floors a secondary connection. This allows the vibrancy and energetic atmosphere of the area to flow between floors. In contrast, at the other end of the fifth floor is another semi-enclosed working space. This is intentionally kept separate as a focused working area for teams that generally are very quiet. Due to the fluidity of the space that there’s a really nice social and working relationship between anybody regardless of their team because people have places to go. 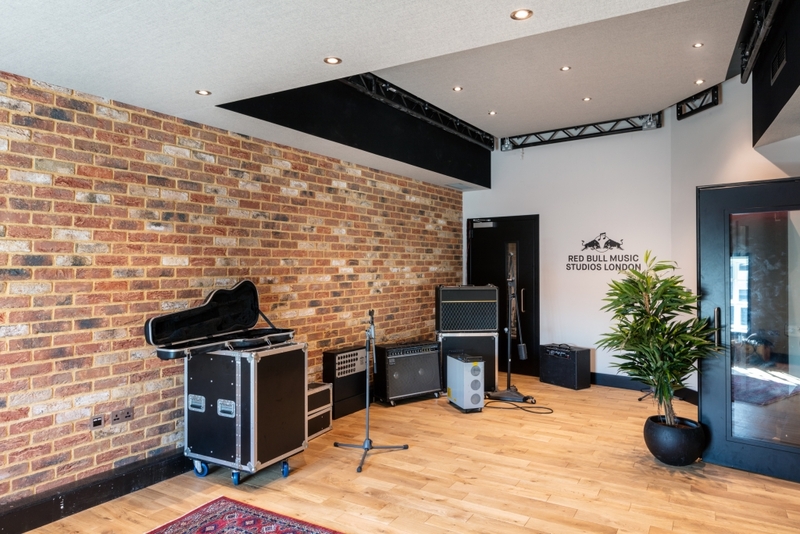 The entire Dthree project team spent time in the Red Bull office, working across different parts of the building to observe and understand first-hand the genuine Red Bull feeling. Red Bull management and leadership teams provided an overall umbrella brief. Dthree then set about engaging with Red Bull department champions, which played a pivotal role in the design process. In different workshop sessions we played around with lots of different iterations of the space plans, even sketching rough team adjacencies and coming up with solutions in desking layouts. Dthree also developed a strong and open relationship with the core Red Bull leadership team. After every development stage, Dthree went back to this team for agreement, sign-off and feedback. This collaborative approach was a key factor in the project’s success. Speaking to the individuals in the business and formulating a brief with them, as Red Bull let us do, allows us to get to the heart of what makes a difference to the team. The project had sustainability at its core, driven equally by Dthree’s standard approach and Red Bull’s expectations. 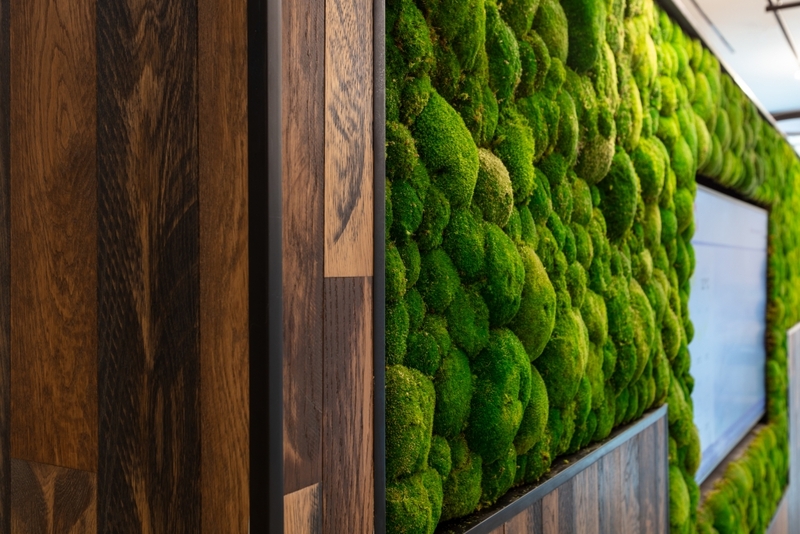 Previously widely considered as a buzz word, it’s clear that sustainability is becoming the norm in the world of interior design and build. This is demonstrated by both Red Bull’s project requirements and Dthree’s approach. Dthree have already been doing a lot of the things that are stipulated in the world of certification, such as ensuring natural light in spaces and minimising the use of toxic products. 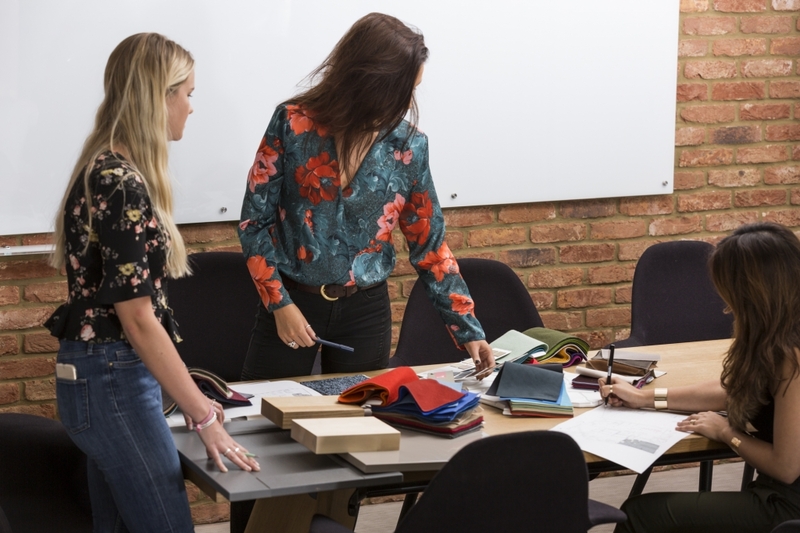 Add to this the fact that every designer currently working with Dthree is under the process of becoming an accredited professional for the wellness certification, and it’s clear to see that the business takes sustainability seriously. More specifically, on this project, Dthree minimised the number of adhesives, varnishes and other toxic products used in their joinery pieces. A welcome structure on the fourth floor was largely designed so the timber slots together and joins rather than having any adhesives that glue it together. I’m proud of the fact we worked truly closely with Red Bull and both entities came together with the same mindset, before either one had voiced it, to strive to create a space that was responsible and had a story and thought behind it. 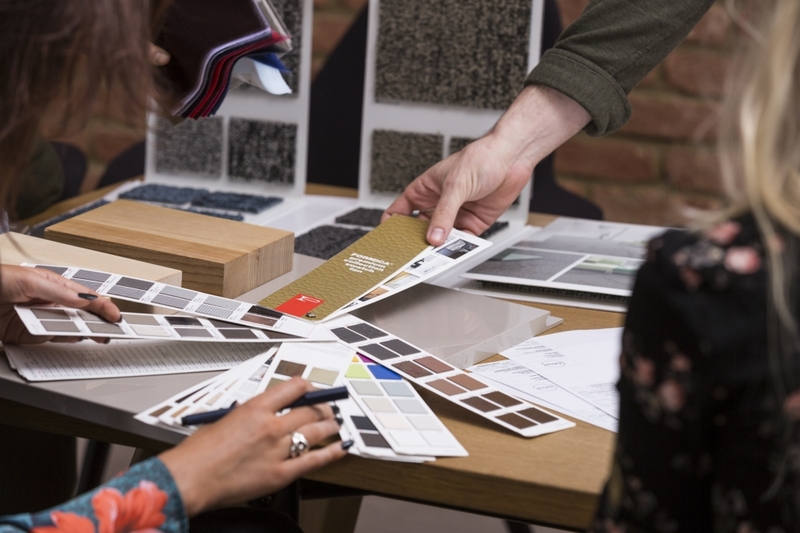 The approach to future proofing the office space has been to provide an elegant blank canvas that can be reconfigured in almost any way desired. The four-floor nature of the building lends itself well to achieving this. The historic and grand-themed lower two floors of the building have been intentionally left open, enabling them to provide a variety of different uses from day one. This is in contrast to the bright and airy upper two floors, which feature a big break out area. You could almost take each of those pieces and swap them over. For instance, if the in the future the team decided that the board room should be on the lower floors, there’s space enough to do it. The ability to quickly reconfigure spaces on the fly was also a key requirement. And the remarkably simple-yet-effective solution came in the form of providing lightweight furniture on castors and easily movable items throughout the building. Future proofing with building infrastructure was also a huge consideration. Things like universal connectivity to Wi-Fi and ample accessible power connections to enable employees to work seamlessly in different locations have all been comprehensively covered. 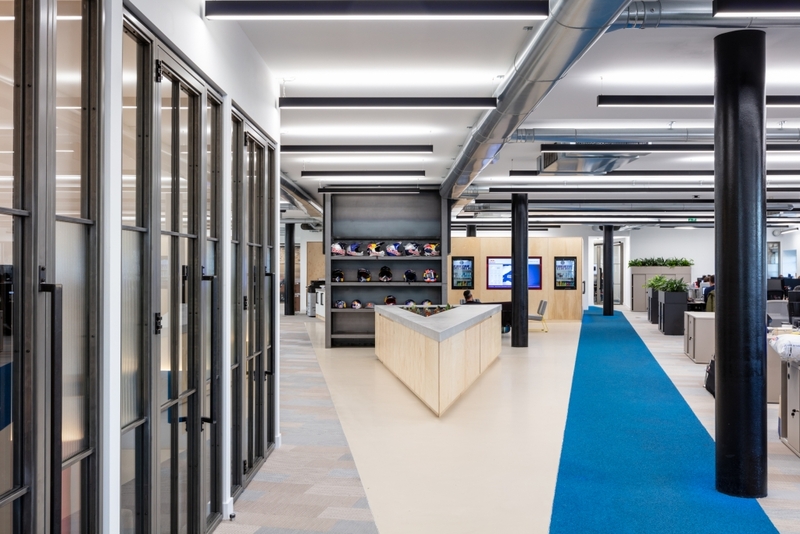 It’s clear that this flexibility and connectivity, alongside meticulous planning and collaboration with Red Bull staff, have all been key ingredients in making a building that entirely fits the challenging brief. 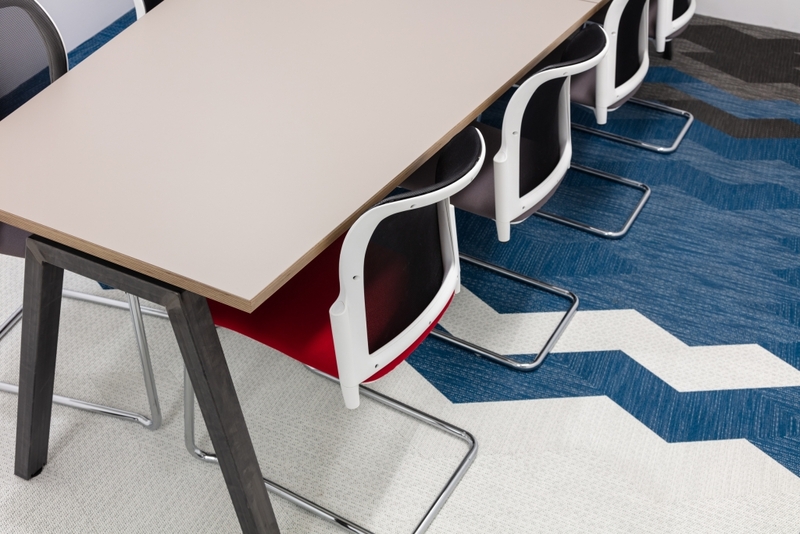 We are confident that the configuration of the floors provides easy flexibility and a number of options for the future. Find out more about the design behind Red Bull’s new office in our latest video!